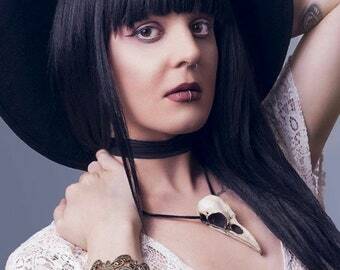 3.5" Raven Skull Bone Resin Replica Necklace (Painted Black Beak) with BLACK Suede cord. 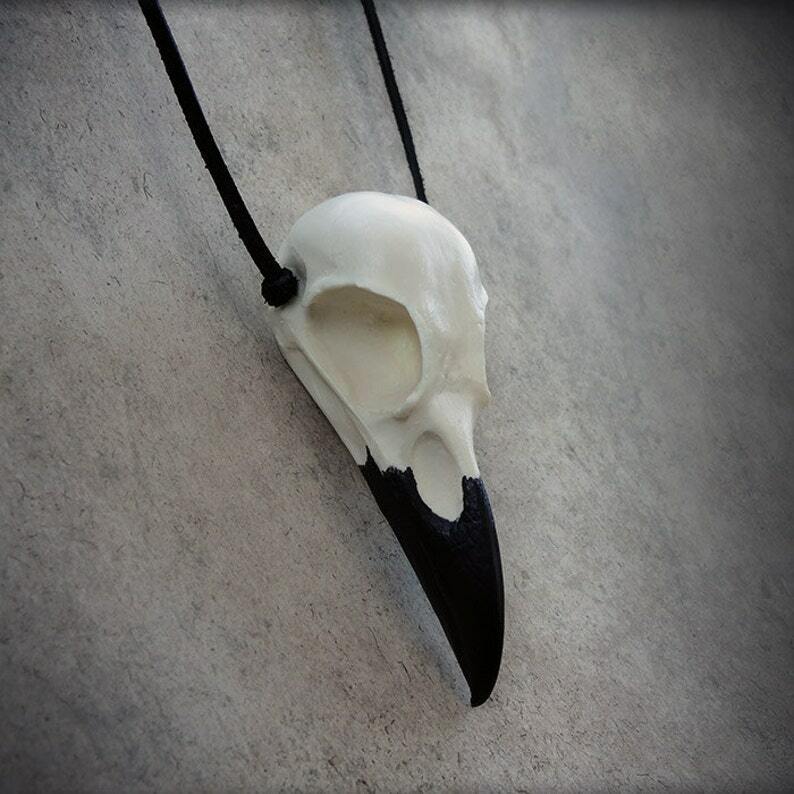 Cast of natural bone color durable urethane resin from a real raven skull. Looks just like the real thing. These are hand made, lightly sanded, and the beak is painted black. Due to the nature of handmade work, there might be a slight variation with each item. A small hole is drilled horizontally through the top rear of the skull so it can be hung from an 18" suede cord with clasp. If you would like it in another length just let me know. The skull replica itself measures approximately 3.5" long. From the tip of the beak to the drilled hole for the suede cord measures about 3". It’s cool for sure, but like others mentioned, it’s not nearly as dark as the one in the photo. Would be five star if it had come close to representing the photo.